If you have not been already then please go because I do not know what you are waiting for. Great value for money. Just keep your bottle of Digene handy - the aftermath may mean you'd be making room for a few ulcers, but its all so sadistically worth it. This one time I am a bigger fan of the vegetarian option. 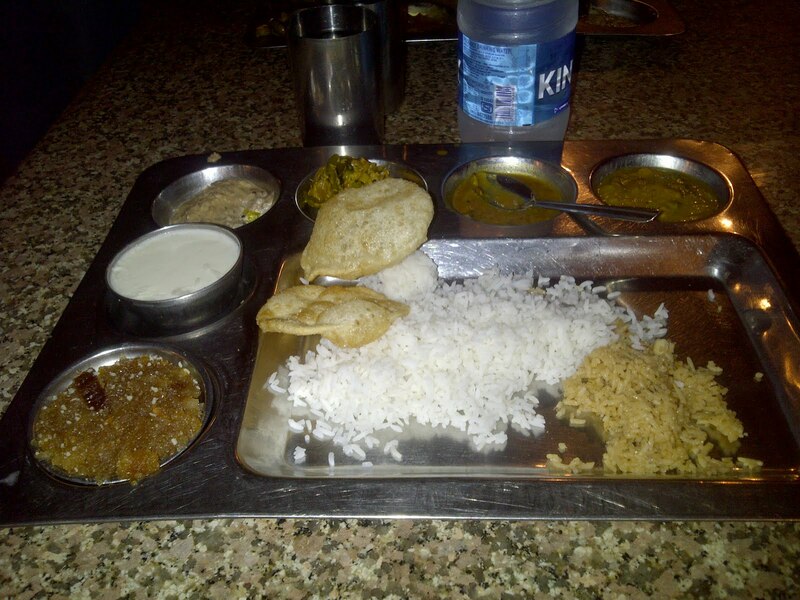 The Vegetarian Thali with all its dals, chutneys and vegetables is a must try. 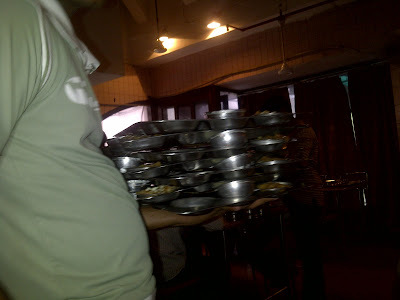 The helpings are unlimited as they keep piling your plate as soon as it empties but thats not because they want you to stay the whole day, on the contrary they want you to get on with your meal and get out. This canteen style eatery works like clock work amidst the chaos and has an incredibly quick seating turnover. Yes, so it isn't quite possible that I happily settled with just a veg thali. 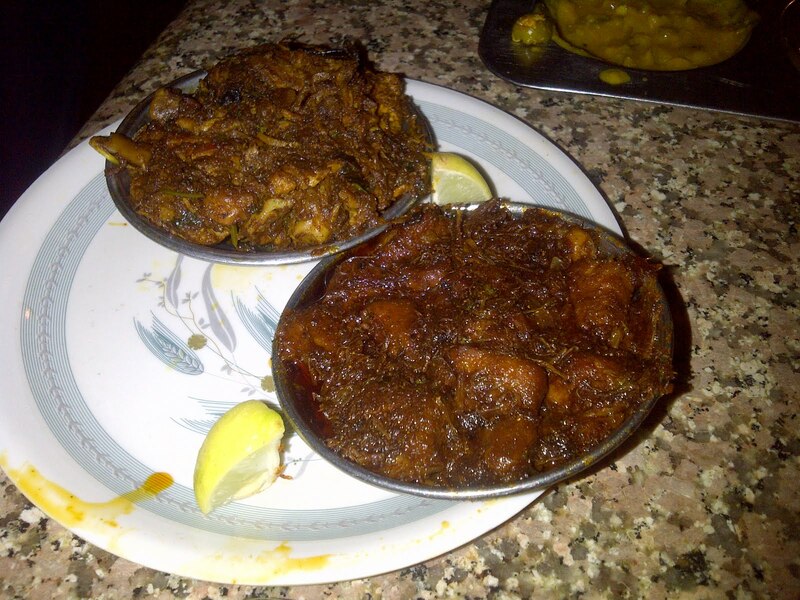 I usually get a side of the Chicken or Mutton Sukha Fry - worth every bead of sweat my forehead gathers! The portion is quite small so if you're as averse to sharing your food as I am then order accordingly. 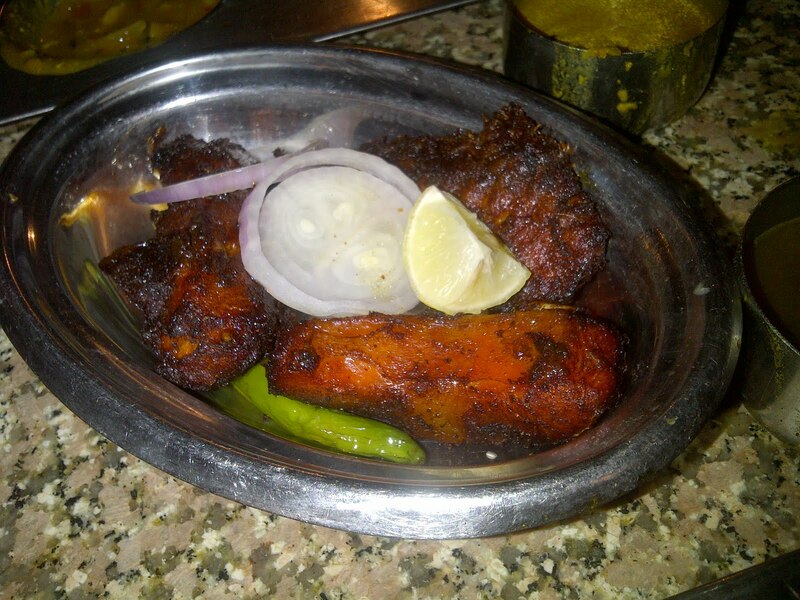 Apart from this they have Fish Fry - which is good if you want something milder with the rest of your fiery meal. Fish Curry - not my favourite but you can see it being devoured on many a table around you. Finally if you make it down on a Sunday do try their famous Chicken Biryani - Like all their other food this too is deceivingly and intensely spicy but delicious. Comes with raita and some curry. I think i prefer it with their dal or sambar but experiment away ! Dont come later than 1pm because you may leave biryani-less. And be prepared to work your way through huge crowds. Imagine chandini chowk but enclosed!